The decade of the 90s brought with it profound changes in the gambling industry baffling millions of gamblers worldwide as casinos transferred their brick and mortar casino games to the online realm. This was due to the fact that in 1994 The Free Trade & Processing Act in Antingua & Barbuda was passed. A few years later online casinos became immensely popular with gamblers who usually played at brick and mortar casinos. Fast forward to the 21st century and online casinos have not only revamped and improved the terrible, simplistic graphics that were initially seen whilst playing casino games in the 90s, but they’ve also sought to add a number of interesting features to their digitalized casino games. Moreover, they’ve also made the concept of Virtual Reality Gambling, which we once dreamt about in decades past, a real world phenomenon. So, now when you choose to play at a VR Casino, you can prepare yourself to be transported to the glamorous world of casino games! And then, storm has hit the investment market which we are not going to recover from. Crypto investment is that storm. With strict capital controls in place by most countries to control the flow of money and charge high taxes, cryptocurrency gained usage in circumventing capital controls and taxes, leading to an increase in demand. Cryptocurrency has been able to present an easy to use digital alternative to fiat currencies. Offering frictionless transactions and inflation control, investors have been prudent enough to add these currencies in their diversified portfolios as an asset, as the size of the market does not represent a systemic risk. Cryptocurrency employs the use of cryptography that assures high-security processes and verifies transactions personal to each user. Hence, counterfeiting and anonymous transactions are impossible to achieve. While this revolution is gaining wide acceptance, Alive Casino, the first cryptocurrency casino in the world that integrates virtual reality technology has arrived. With that being said, Alive Casino is the first casino with cryptocurrency support with fully integrated VR technology, where everyone can play a lot of online gambling games, and thanks to the built-in software, the Alive player can enjoy other games in high resolution. What exactly is ALIVE CASINO? Alive Casino is a platform where there are many types of gambling games, with support for virtual reality technology. The project offers a unique gaming experience that will be able to interest people, as it is something new in the entertainment industry. Virtual reality technology is now actively developing, more and more people are buying helmets to dive into the digital worlds. For the happy owners of glasses or helmets VR Alive Casino offers an unprecedented form of entertainment, when the player can be in a virtual casino with all its charms in the company of other players, that is, digital avatars, while he can be at home or anywhere he wants. Gradually, what was shown in Steven Spielberg’s film “Ready Player One” begins to come true. Alive Casino is the first casino with cryptocurrency support with fully integrated VR technology, where everyone can play a lot of online gambling games, and thanks to the built-in software, the Alive player can enjoy other games in high resolution. In the installed VR Casino will be a full 360-degree review, which will allow you to view interactive tables, slots, interact with the dealer, spin the reels, hold cards, throw dice and so on. If the user does not have a VR headset then there is no problem. He can play a bunch of other gambling games using cryptocurrency. The main goal of Alive Casino is to act in such a way that online casinos occupy a large share of the gambling market. This goal will be achieved through two key strategies: first, following only transparent practice, mainly thanks to Blockchain technology, and secondly, providing real human experience for online players through effective social networks and the experience of gambling in VR. ALIVE CASINO aims to change the way you view the casino ICO and online gambling in general. The world’s first blockchain-VR casinos also integrate traditional online games, Alive ultimately brings transparency and accountability to the online casino world. A Blockchain-based Secure Payment System. The Alive Casino will begin as a heavily customized implementation of a proven online gaming platform. Over the course of several months, the complete Blockchain-based payment system will be integrated into the Alive Casino, supplementing but not supplanting the traditional payment system and providing players with increased security and payment options. The integration of Blockchain will allow withdrawals to be carried out instantaneously and transparently, providing users full control over their funds at all times. Industry-standard best practices will be instituted at every level operation, and additional measures will be implemented as countermeasures against potential downtime, which may result from security threats. This way, gameplay will not be disrupted by security operations, designed to protect players. Blockchain technology has long been considered a means by which transparency can be encouraged in business, particularly business in a digital context. In the white paper written by Satoshi Nakamoto, the distributed ledger is described as a means by which transactions can be verified without the need for a third party. This is the way in which the Alive Casino uses the Blockchain. Users will be required to provide a certain amount of information when they register for the platform. However, users will be able to configure their privacy settings for maximum comfort or advantage in their gaming goals.Users will be able to access their account via biometrics. However, the primary security feature is the full encryption of all personal data. If the platform were to be hacked, users’ personal data would remain inaccessible to the hackers. To address such issues, Alive will put every dapp through extensive testing before public release. In addition, all developments will be audited by an external company before implementation. Alive will use mature HSM technology to execute the full lifecycle of private keys and addresses inside an isolated environment. All balances will be in users’ personal Alive multiwallets. Therefore, even if the company were to disappear or go bankrupt overnight,users would still maintain all their coins. Distributors are experts not only in the management of cards, but also in making players feel safe and comfortable. All Alive licensees are required to have a full presence on social media, and will be available to become “friends” of each player. With the cooperation of our BetConstruct partners, we plan to build our own Live Studio Games. Life will benefit not only from owning their own distributors, but also from reducing costs by using external suppliers, which will be distributed among the longer-term Tokens Alive holders. 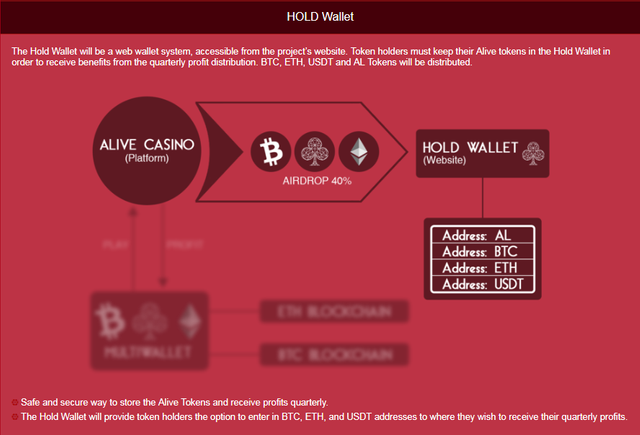 The Alive Casino development team will deploy a multi-wallet system on the platform, to allow multi-currency play through Blockchain. 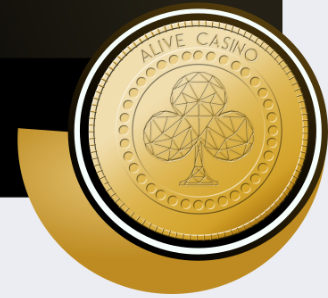 Alive will give you the opportunity to visit a land-based casino without leaving your home. Once the VR Casino is established and launched, the player gets a 360 degree view of the fully interactive slot machines and the live dealer tables. Virtual reality technologies allow players to spin reels, interact with the live dealer and play other virtual reality games. 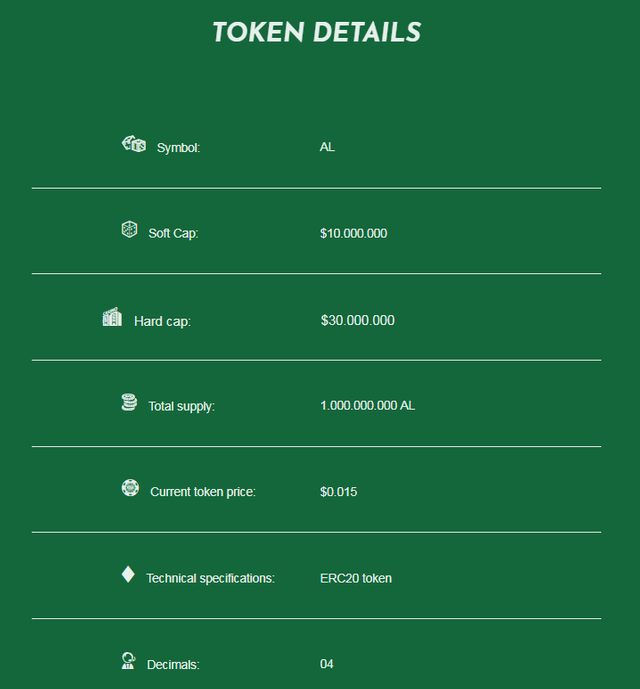 The Alive Token will be an ERC20 Token and will build on all Ethereum network security and utility benefits. They can be kept on any wallet that can store ERC20 cards and can be easily exchanged in P2P or exchange mode. 33% product development – Product and technology development according to roadmap. 30% marketing – Budget for platform marketing and user acquisition. 20% Research and Development Research and development – costs of new RV games, Blockchain, payment systems, etc. 7% Commercial associations – The cost of new licenses, strategic partnerships, collaborations and annexes. 6% Team Building & Retention – The cost of growing our team and retaining current team members. 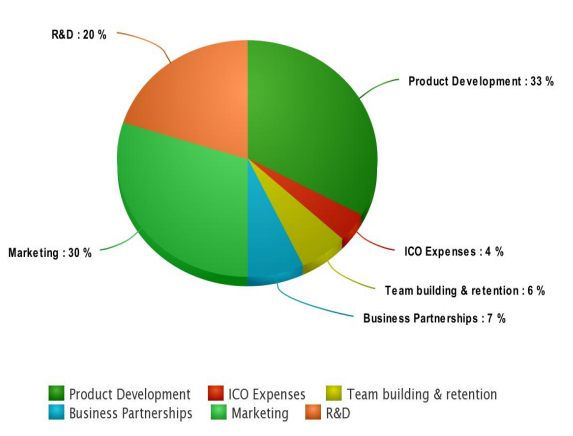 4% of ICO expenses – The cost of the entire ICO process, including audits, contracts, advertising and more. 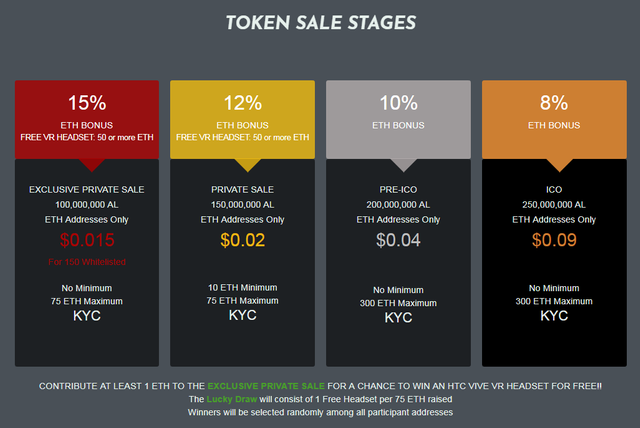 – 700 Mn Alive Tokens are released to the public during the sales of tokens. 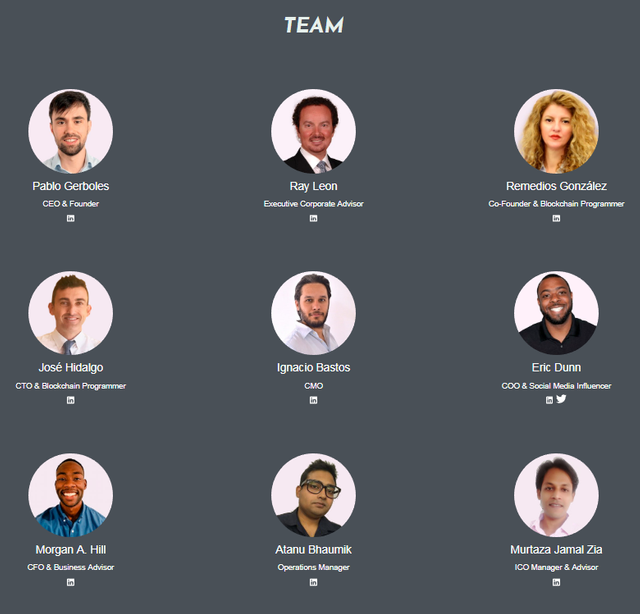 15% Founder team – 150 Mn Alive Tokens are reserved for the founding team, blocked for a period of 12 months. 5% of future research and development – 50 Mn Alive Tokens are reserved for future R & D.
3% Initial operating costs – 30 Mn Alive Tokens are reserved for legal advisors, marketing services and association negotiations. 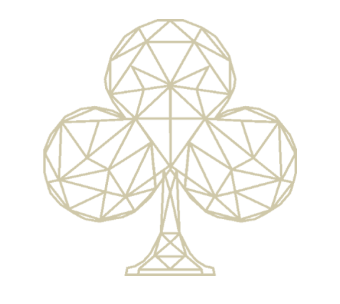 Initial 4% of casino funds – 40 Mn Alive Tokens are reserved to grow the user base of the casino. Bonus campaigns, poker tournaments, special jackpots and more. Bounty Program 3% – 30 Mn Alive Tokens are reserved for Bounty, Airdrops and other future marketing initiatives.